These sneakers employ a lovely combination of metallic gold leather embellished with eyelet detail and raffia for a more feminine feel. 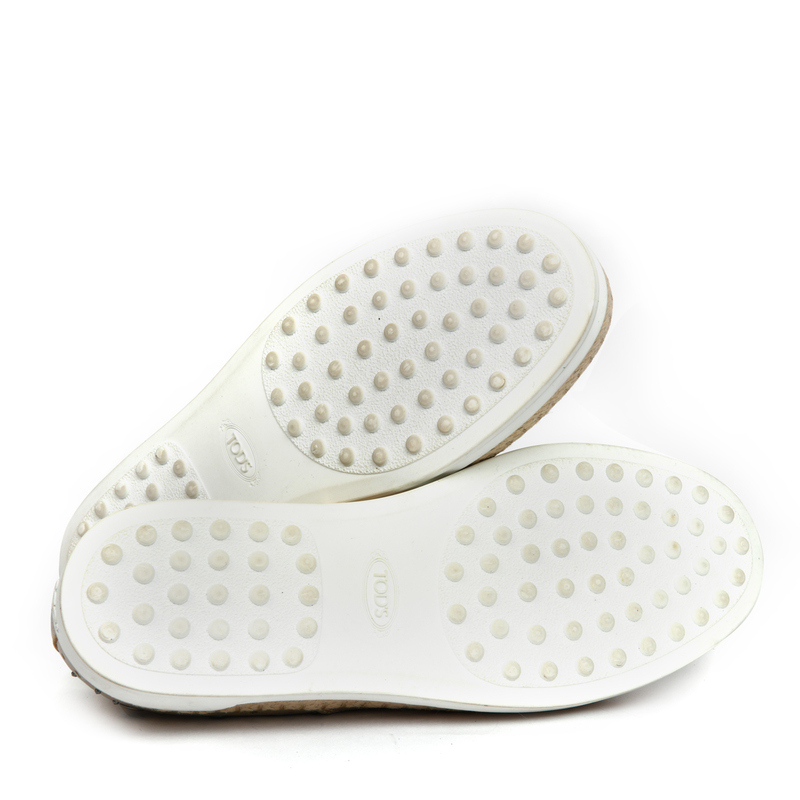 The insoles are leather lined and carry brand name. They are ideal for everyday wear! 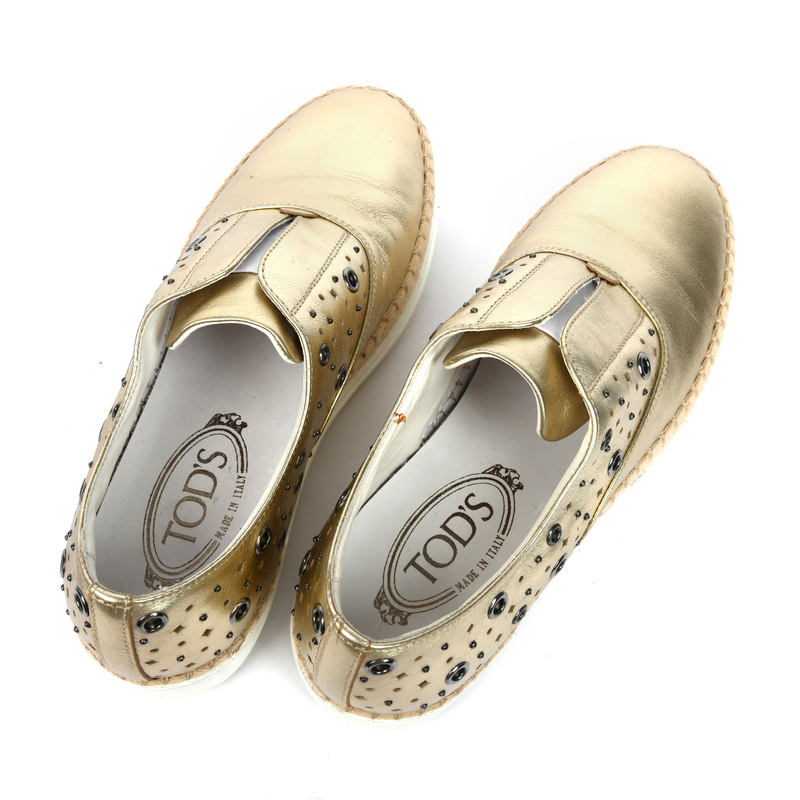 The gold leather uppers have tiny brown dots of discoloration and minor creasing. The rubber out-soles are slightly dirty.